Please join the TTLG Picture Book Celebration in 2011. One picture book review for every day of the year! I imagine that some of you bought or received a new iPad, iPhone, or iPod Touch over the holidays, and I want to tell you about some wonderful children's book apps that work with these devices. PopOut! The Tale of Peter Rabbit is an interactive version of Beatrix Potter's wonderful story. It is a joy to look at, and children will love the way some of the illustrations move. Children can read their book on their own or have it read to them (with highlighted words). Here is a small video to show you what it looks like. It can be purchased through your device in the interactive children's book category for just $1.99! 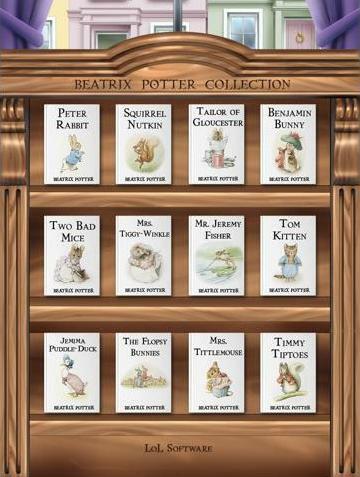 There is also a collection of twelve Beatrix Potter books for the iPad that is called Beatrix Potter Collection - Premium Talkie Book. There are not interactive elements, but children can have the books read to them. 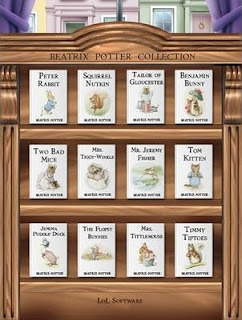 The titles in the collection are: The Tale of Peter Rabbit, The Tale of Squirrel Nutkin, The Tale of Tailor of Gloucester, The Tale of Benjamin Bunny, The Tale of Two Bad Mice, The Tale of Mrs. Tiggy Winkle, The Tale of Mr. Jeremy Fisher, The Tale of Tom Kitten, The Tale of Jemima Puddle-Duck, The Tale of The Flopsy Bunnies, The Tale of Mrs. Tittlemouse, and The Tale of Timmy Tiptoes. Though there are no bells and whistles on this one, the artwork looks beautiful, just like in the print books, and this app would be wonderful to have during a car ride or plane journey. Costing only $0.99, this is a good deal. You can find it in the children's book category or by using the search. I will have some more children's book app recommendations for you next week. Enjoy! Storybird - A website for readers, writers, and illustrators. For those of you out there who like to write or illustrate, I have a treat for you. Take a look at Storybird, a website where you can write stories, or create art for stories. You can write by yourself, or collaborate with other people. You can even have the stories you created printed in book form. Or, if you don't feel like creating, you can read and look at other people's creations. Here is a little video about Storybird. And here is a quick tour describing how to use Storybird. I am going to try this out myself very soon. What a great idea! Random House Children’s Books (www.randomhouse.com/kids), together with leading digital media agency Smashing Ideas, today announced that Wild About Books for iPad will be available in the iTunes store on December 16th. Based on the New York Times bestselling children’s picture book Wild About Books, by Judy Sierra and illustrated by Marc Brown, the app retails for $7.99, but is available now for a special introductory price of $4.99. This is the first product in the partnership between Random House, Inc. and Smashing Ideas, with more interactive digital books based on key properties such as pat the bunny, Little Golden Books®, and others scheduled to follow in the coming months. The award-winning picture book now roars to life in 16 animated and interactive scenes where kids can tilt, swipe, and tap their way through Judy Sierra’s rollicking rhymed story. Readers can choose to listen or turn off the narration and read at their own pace. Whether they’re making monkeys flip, beach balls bounce, animals stampede, or bears burp, parents and kids are sure to laugh, learn, and get wild about books together. Wild About Books, Judy Sierra’s funny animal tale about librarian Molly McGrew, who introduces animals to reading, was published in 2004 to critical acclaim, winning the coveted E. B. White Read Aloud Award. With playful art paintings by Arthur creator Marc Brown, it was also named an ALA Notable Children’s Book and a Book Sense Book of the Year. Having sold nearly 500,000 copies to date, it has found a permanent place on bookshelves in libraries and homes across the country. Random House Children’s Books is the world’s largest English-language children’s trade book publisher. Creating books for toddlers through young adult readers, in all formats from board books to activity books to picture books, novels, eBooks, and apps, the imprints of Random House Children’s Books bring together award-winning authors and illustrators, world-famous franchise characters, and multimillion-copy series. The company’s website, Kids @ Random (www.randomhouse.com/kids) offers an array of activities, games and resources for children, teens, parents, and educators. Random House Children’s Books is a division of Random House, Inc., whose parent company is Bertelsmann AG, a leading international media company. Smashing Ideas, founded in 1996, has become one of the leading digital media agencies for the youth market by creating immersive, interactive content that transforms consumer-driven brand experiences in a digital world. Cartoon Network, Disney, GE, Hasbro, Nickelodeon, Nokia, Sony Ericsson, Verizon Wireless, and more have called upon the company to develop engaging, online, ITV, and mobile experiences for their audiences. Smashing Ideas is based in Seattle, with offices in Portland and in the U.K.
For the last day of the five days of seasonal and holiday book giveaways, I have a title that is sure to make readers of all ages smile. If you would like to enter this giveaway please send me an email. We all know that from December first until Christmas Santa Claus works “his rear off” making sure that every good girl and good boy in the world gets their due on Christmas Day. Not surprisingly, the good man is pretty worn out after all this hard work, and for the rest of the year he takes a good rest. Mind you, this does not mean he does nothing for eleven months. Dear me no! Then in June there are the Summer Reindeer Games to attend, and in July Santa is a super-spy. In September he, as usual, goes back to school. He is such a conscientious fellow you see. As for October – well just keep a look out for a bearded Easter Bunny at Trick-or-Treat time. Santa is a huge Halloween fan. This is the perfect book for children who ask “What does Santa do after Christmas is over?” With wonderfully humorous rhymes, which will have readers giggling in not time, and delightful artwork, this picture book will give readers something a little different to read during the holiday season. Today's giveaway is a prefect gift for a child who is beginning to doubt that Santa exists. If you would like to enter this giveaway, please email me. Julian thinks that it is about time for him to stop writing letters to Santa. After all, isn’t he getting a little too old for Santa now? But his parents seem keen on the whole Santa business, so Julian writes to Santa asking for a really expensive present – a fancy video game system. On Christmas Day Julian finds that he has been given his requested gift, but he has also been given something else, a small wooden train. It would seem that Santa accidentally dropped the train when he visited the house on Christmas Eve. Julian soon figures out that the train is very special indeed (magical even) and he becomes quite devoted to it. In fact he seems to prefer the train to the state-of-the-art video gaming system. There is a problem though, for if the little train was lost, it can only really belong to Julian if he keeps it for a year and a day after he found it. What if Santa wants the train back? Julian puzzles and puzzles about what he can do to convince Santa not to reclaim the train that he has become so fond of. For all those youngsters who are beginning to doubt the Santa really exists, this wonderful little book, with its quirky illustrations, is a gift and a treasure. 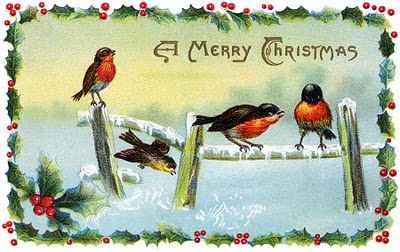 They will see that it is wise not to doubt the magic of Christmas, for you do you may miss out on something truly special. Blog Book Tour - Modern Fairies, Dwarves, Goblins, and Other Nasties. If you are interested in fairies, elves, goblins, and other magical creatures, I strongly suggest that you get yourself a copy of Modern Fairies, Dwarves, Goblins, and Other Nasties: A Practical Guide by Miss Edythe McFate. Yes I know that you have read a veritable library of books about fairies and their relatives, but I assure you that this book is a must for anyone who feels the need to know all there is to know about magical beings. In fact this a book we should all read so that we better understand the creatures we share our planet with. The author of this exceptional book has very kindly written to us to tell us how and why she wrote her book. Here is her letter. Allow me to introduce myself. My name is Miss Edythe McFate, and once you’ve read my practical guide to modern fairies, you will never see the world around you in the same way again. I recently had a letter from the Looking Glass Children’s Book Review, asking me what on earth compelled me to write such a book. Well, frankly – it was necessary. There is simply nothing else out there like it. And modern children need it. Not just to learn how to glimpse the fairy realm that surrounds everywhere and every day -– but also to learn how to protect themselves against these creatures, who run the gamut from charming-and-sweet to charming-and-nasty. All fairy breeds have magical powers that can be used to do something nice for you -- or ruin your life forever. Some fairies are shape-shifters or curse-wielders; others are hypnotists and kidnappers. Sometimes you can outsmart them, but nine times out of ten, they’ll get the better of you. Today’s children were pretty defenseless until I decided to create this guidebook, in which they could find heaps of practical advice on how to tell a good fairy from a bad one, how to spot a ‘fairy ring,’ and so on. In its pages, readers can learn the difference between dwarves and trolls (one species is far deadlier than the other), and how to defend themselves against fairies who would do them harm. I’ve also included eight cautionary stories about children your age who’ve had some astonishing encounters with fairies. Each of these tales deals with a different type of fairy, and I’m warning you: some of the stories aren’t pretty. In fact, several are quite terrifying. But every single one of these stories is true, so I’d advise all of my readers to pay close attention, in case they find themselves in similar situations. Forewarned is forearmed, I always say. The bottom line: no one knows more about the wayward natures, properties, and habits of fairies than me, and I’ve chosen to share this information with the world. Read this book all at once or a few chapters and entries at a time; carry it with you to reference it on the run. By the book’s end, you too will be an expert on the modern fairy world. Please visit the other stops on this blog tour. A few years ago Harry Horse created a picture book about a little rabbit, and since then other stories have been added to the Little Rabbit collection. Little Rabbit is, without a doubt, one of my favorite rabbit picture book characters. Here is a review of Little Rabbit's Christmas story. If you would like to enter this giveaway, please email me. It is Christmas Eve, and Little Rabbit is out walking with Papa when he sees a beautiful red sled in a shop window. Little Red Rabbit is so taken with the red sled that he cannot get it out of his mind. He cannot even get in the mood to help his brothers and sisters decorate the Christmas tree. As he is being tucked into bed that night, Little Rabbit wonders if the Christmas Rabbit will be able make a sled fit into his stocking. The next morning, Little Rabbit joins his brothers and sisters, opening his presents and hoping that the next one will be the red sled. He looks everywhere for that precious sled but it is nowhere to be found. Then, out of sheer disappointment Little Rabbit starts to cry. It would appear that the Christmas Rabbit has not brought him a sled after all. And then Little Rabbit’s parents tell him to look outside and there, in the snow, lies the red sled! Little Rabbit is thrilled. Indeed he is so thrilled that he is determined that no one will use the sled – except for him. In this delightful new addition to the Little Rabbit series, Harry Horse has his charming little character learn a very simple yet valuable lesson. Even the most wonderful present in the world is no fun to play with if you are all alone. Furthermore, the real joy of Christmas is being able to share your gifts and blessings with your family and friends. With a simple story and thoroughly delightful and unique illustrations, Harry Horse has created a bunny world that readers of all ages can enjoy. I am sure that one of the most popular gifts to give children at this time of year are teddy bears. For us humans it is really quite easy to go out and buy a teddy bear. We can even order one on the Internet. For a little wolf, trying to find out where teddy bears come from is not so easy. If you would like to enter this giveaway, please email me. It is a cold winter’s night, and all the animals in the dark forest are slumbering in their beds. Except for a little wolf who cannot seem to fall asleep. Even after a glass of milk, a cuddle, and a teddy bear story, the little wolf is wide awake. In the morning, the little wolf decides that what he needs is a teddy bear. A teddy bear will surely help him sleep soundly every night. Though his mother is a wonderful cuddler and reader of stories, she has no idea where “teddy bears come from,” so she suggests that her son should go and ask Wise Owl for his advice. Carrying a picnic lunch packed by his loving mother, the little wolf sets off through the snowy forest to ask Wise Owl where teddy bears come from. Unfortunately, Wise Owl has no trouble sleeping, and he has no idea where teddy bears come from. The sleepy bird suggests that the little wolf should ask the Three Little Pigs if they know the answer to question. This delightful picture book, with its unique multimedia illustrations, will charm young readers who appreciate the importance of having a teddy bear to sleep with every night. Children will enjoy seeing all the characters the little wolf visits as he tries to find out, once and for all, where he can find a teddy bear. In many states in the U.S. and in many countries in Europe snow has been falling for days. Roads have gone unplowed, schools have closed, people have not been able to go to work, and errands have gone undone. Though many adults have no doubt been annoyed by this state of affairs, many children have been delighted by all the snow days they are having. For this first day of the five days of seasonal and holiday book giveaways, I have a title about one person's hopes that tomorrow will indeed be a snow day. If you would like to enter this giveaway, send me an email with your name and snail mail address. Good luck! They have heard the weatherman mention that there might be snow in the forecast. Snow! Of course they want snow. Lots of it so that the school buses won’t be able to move, and so that the teachers won’t be able to get to work. They want a snow day. They want a day with no alarms going off. They want a day when they can snuggle together under a blanket on the sofa and “sip hot chocolate from giant snowman mugs.” They want so much snow that they cannot even open the door and have to climb out the window to get outside. “a zillion snowballs inside.” They will go sledding and they will build a snowman. But now they have to go to be bed to get ready for that snow day. Children who have eagerly hoped and prayed for a snow day will thoroughly appreciate this book. Grownups who have watched the weatherman hoping that they will get to have a snow day will laugh out loud when they come to the last couple of pages, and when they discover who the main narrator in the story is. Cleverly crafted and beautifully illustrated, this is a seasonal picture book that captures the hopes and magic of snow days for people of all ages. On this day in 1830 Emily Dickinson was born in Amherst, Massachusetts. Emily would grow up to become a reclusive lady who rarely left the home where she was born and where she grew up. In her room Emily wrote poetry that was often dark, and that was very unique. Though she refused to share much of her poetry with the world during her lifetime, she did save the poems she wrote, which her sister had published after Emily's death. 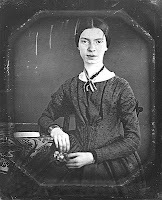 For today's Poetry Friday I have a book for you that contains seven of Emily Dickinson's most famous poems. 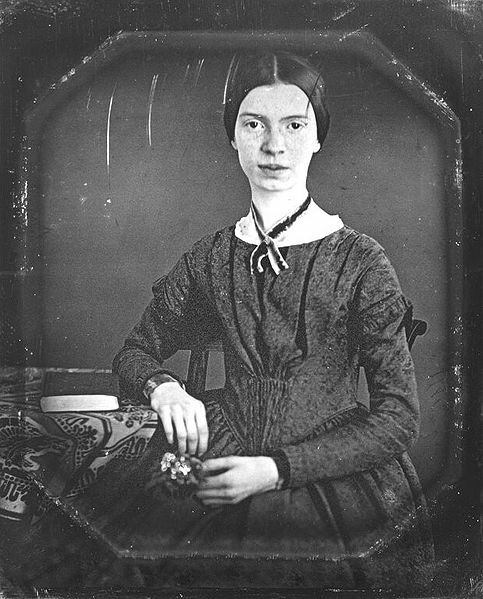 If you interested in this very unique woman, you might want to take a look at the TTLG Emily Dickinson feature page as well. Here you will find reviews of three titles, all of which look at Emily Dickinson's life in interesting ways. Announcing our Christmas Book Give-away! Our collection includes two classic tales: T'was the Night Before Christmas and Jingle Bells, and three original tales: The Very Snowy Christmas, I've seen Santa, and Shhh! 1) Comment on our blog. Tell us your favorite Christmas (or holiday) story. 2) Like us or comment on our facebook page. 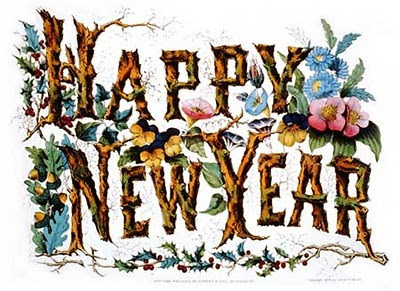 Include a favorite holiday story and we will enter you twice! 3)Retweet our announcement on twitter. Add your favorite holiday story and we will enter you twice! Hurry! You only have one week for this give-away. The winner will be announced on Wednesday, December 15 (enter before midnight on December 14). The winner must reside in the US and have a US shipping address. On the 8th of December 1542 Mary, the daughter of King James V of Scotland, was born. Just a few days after her birth, Mary's father died and the infant Mary became the Scottish queen regnant. Nine months later she was crowned queen, but she did not become the acting queen until many years later. At the tender age of five Mary was sent to France where she was educated and groomed to become the future queen of France. When she was sixteen she was married to the Dauphin Francis, and for a short time Mary was queen of France. Then her husband died and Mary returned to Scotland to take her rightful place as the queen. Unfortunately it was not a role that she understood, and her rule was complicated by political and personal problems that brought about her downfall. 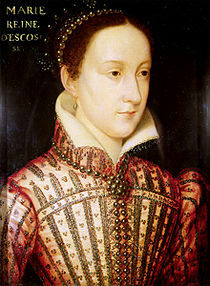 Young readers can learn about this fascinating woman by reading the books reviewed on the TTLG Mary Queen of Scots page. 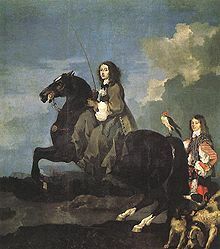 On December 8th 1626, princess Kristina of Sweden was born. Kristina was a very unusual woman, who created quite a stir when she decided to live her life as she chose, rather than live her life as she was supposed to do. Carolyn Meyer has written a wonderful book about this ruler in her book Kristina: The Girl King, Sweden 1638. 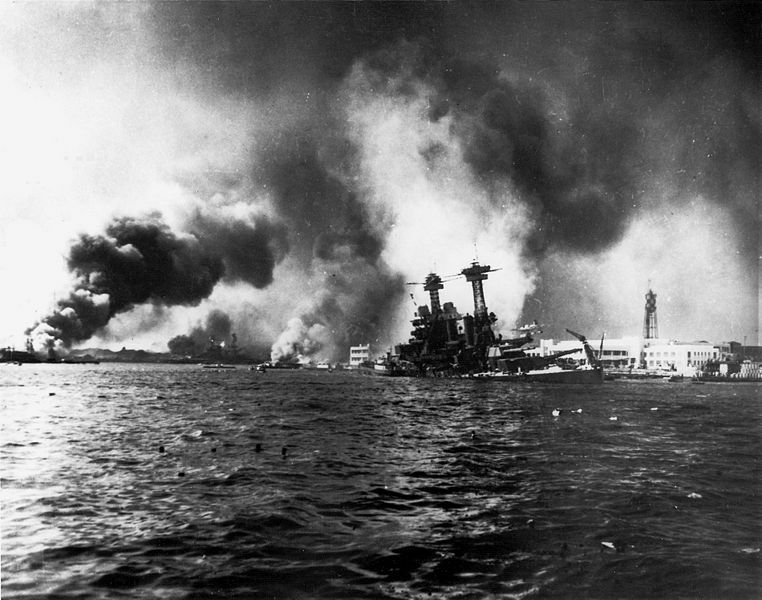 Early on Sunday December 7th, 1941 Japanese fighters attacked targets on the island of Oahu. The fighters chose as many 'high value targets' as they could, and ended up sinking and damaging numerous ships and planes. 2, 386 Americans were killed and 1,139 were wounded. This event made a huge impression on Americans, and many books have been written about that fateful day, including some excellent titles for young readers. 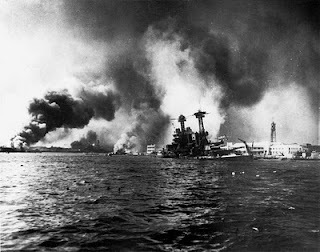 On the TTLG Attack on Pearl Harbor feature page you will find reviews of several titles, both fiction and nonfiction, that tell the story of the attack on Pearl Harbor very well. On this bright and cold Poetry Friday I have a collection of poems that were selected by Michael Rosen, a well known British poet. Little children love to listen to rhythmic music and speech. Even when they don’t know what all the words they hear mean, they are drawn to sounds that go up and down, this way and that. Which is why nursery rhymes are so popular with young children. For this wonderful book of poetry, Michael Rosen has chosen poems that are perfectly suited to little children. 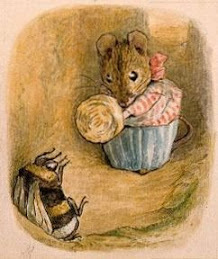 The sing songy rhymes and verses beg to be read aloud, and little children will love the way that so many of the poems are about things that are relevant to them. For example, there is a poem about how a child is fed up with the problems associated with having hair. Who wants to have to deal with “all the fuss” of brushing, drying “curling / And twirling” wayward locks. Then there are the story poems, many of which are delightfully silly and funny. If you haven’t heard the one about Somebody’s grandmother, then you are in for a treat. Then there is the tale about Mabel Murple (whose house was purple), and the story about someone who goes into the woods and gets lost. Throughout this book Bob Graham’s charming illustrations provide the perfect backdrop for the poems that cover the pages. On this day in 1955, Rosa Parks decided that enough was enough. When she was asked to give up her seat on a Montgomery bus so that a white person might sit down, she refused. For this crime she was imprisoned, and because of what happened on that bus, the leaders of the Montgomery civil rights movement decided to stage a bus boycott, which lasted for more than a year. I recently read a wonderful picture book about the bus that Rosa rode on that fateful day, and about the pivotal role that it played in the civil rights movement. Here is my review. 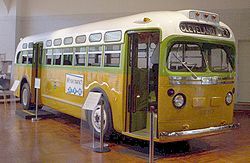 Bus #2857 rolled off the General Motors assembly line in 1948. It carried people around Terra Haute, Indiana for a few years, and then it was taken south to Montgomery in Alabama in 1954. In this city, the bus acquired something new. A sign was put in place ten seats back from the front of the bus. The new sign read: Colored, and it meant that African American passengers could only sit at the back of the bus. Then, on the evening of December 1, 1955, Mrs. Rosa Parks got onto bus #2857 and she took a seat behind the Colored sign. At the next stop, all the seats for the white folks filled up, and the bus driver told Rosa and the other passengers in her row to get up so that a white man could sit down. The other African American passengers did as they were told, but Rosa refused to do so. She was arrested, and soon afterwards the Montgomery bus boycott began. The story of Rosa Parks’ actions on that famous day in 1955 has been told many times, but never in this way. The author tells the story from the point of view of the bus that carried Rosa Parks on that winter’s day. Readers will learn that Rosa’s bus did not end up on a scrap heap. Instead, it was saved so that future generations could see the bus that witnessed an event that helped to shape America’s history. Throughout this book, warm illustrations compliment the lyrical text. At the back of the book the author provides her readers with further information about bus #2857, about the events that led up to Rosa Parks’ brave stand, and about what happened after Rosa was arrested. You can read about more Rosa Parks books on the TTLG Rosa Parks feature page.